Last chance to register for Bountiful Yards!! Last chance to register for Bountiful Yards!! Email ahanso@hunter.cuny.edu by noon tomorrow, May 17th to reserve your seat. The CUNY Institute for Sustainable Cities invites you to a panel discussion on food and farming in metropolitan regions, in both in the U.S. and Australia. 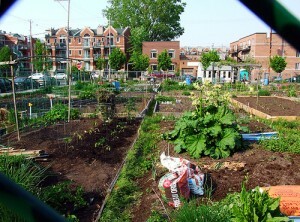 Learn about innovative models for converting yards and other small plots into food-producing spaces, as well as their implications for transforming communities, the urban landscape, and the larger food system. RSVP: This event is free and open to the public. Please email ahanso@hunter.cuny.edu to RSVP.